Matt Whyman: Delivered. Now what? I've just delivered my next novel, INSIDE THE CAGE. 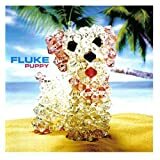 The last few weeks have been a bit intense, and sountracked by something suitably driving and dirty - Puppy by Fluke. So, now I have to wait for my editors in the US and UK to get back to me. Filling the time isn't easy. This morning, I was snowed under by notes. Right now, I feel unemployed. Has anyone got work going? I can lay bricks and concrete foundations.